This last weekend, I was supposed to partake in my first Spartan race, but thanks to a silly stress fracture, I this event to ensure that I am ready to go for Gasparilla on February 21st and 22nd. So I started looking for another race of this style and Caitlyn introduced me to Battle Frog. It’s a similar style to Spartan but focused on the obstacles more. Less running in between. Sounded like a neat event until I saw the date. It happens to fall on the same weekend that I’ve chosen to make my own Double Trouble. It is an obstacle race that was created and designed by U.S. Navy Seals. Some serious folks! Promo code only works for the Orlando Event and for General Waves (not cash prize categories). 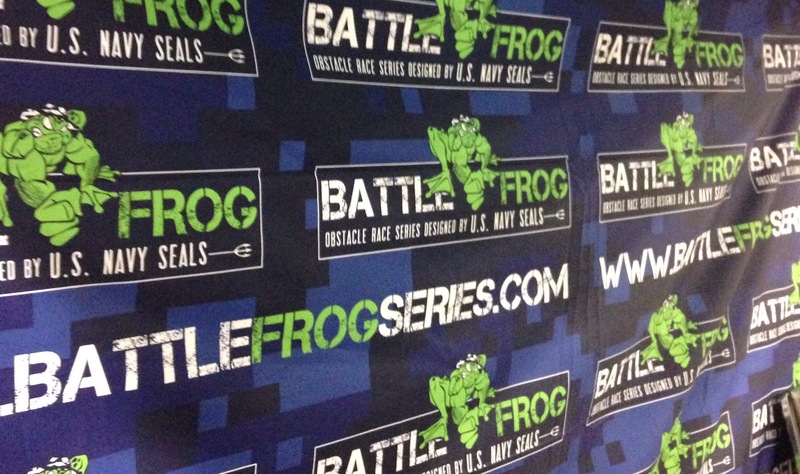 I got to meet some of BattleFrog Team at the Miami Marathon Expo! Want to win a free entry? I love that this event has different distances. That’s so unique for an OCR.